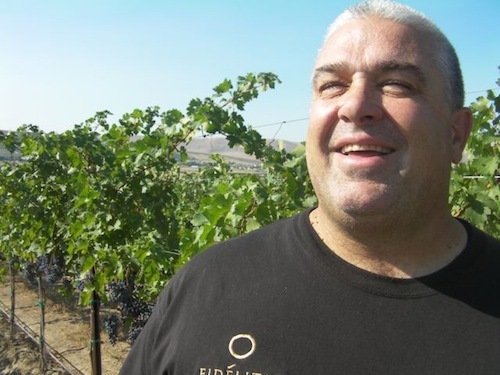 RED MOUNTAIN, Wash. – One of California’s most high-profile wineries is coming to Washington. Duckhorn, a famous Napa Valley winery that focuses on Merlot, will launch a Cabernet Sauvignon-focused winery using Red Mountain grapes. Carol Reber, chief marketing and business development officer for Duckhorn, said it will release its first wine, a red wine from the 2012 vintage, around Labor Day 2014. Duckhorn is based in St. Helena, Calif., and was launched in 1976 by Dan and Margaret Duckhorn. They chose to focus on Merlot in a region known for Cabernet Sauvignon, and they found quick success. The winery also produces Cabernet Sauvignon, Cabernet Franc, Petit Verdot, Sauvignon Blanc and Semillon. In 1994, Duckhorn launched Paraduxx with a focus on Napa Valley blends. 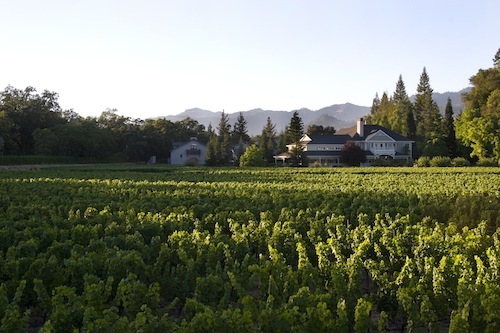 It has since opened a separate winemaking facility on the Silverado Trail in the Yountville American Viticultural Area. Two years later, the winery created Goldeneye, a winery focused on Pinot Noir from the Anderson Valley in Mendocino County. 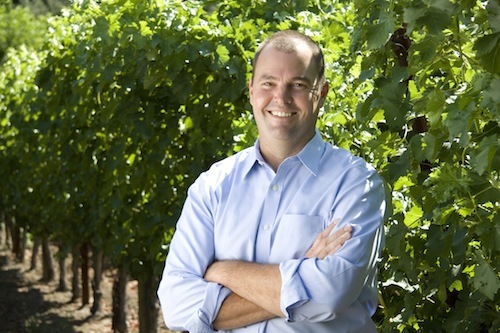 In 2001, the company launched Migration, another brand focusing on Pinot Noir and Chardonnay from the Anderson Valley. Duckhorn also owns Decoy, a line of value-priced wines. The yet-to-be-named Red Mountain winery will be Duckhorn’s first venture outside of Northern California. The first wine will use grapes from four Red Mountain vineyards: Klipsun, Shaw, Quintessence and Ambassador. The wine is being made at Artifex, a custom-crush facility in Walla Walla. Bill Nancarrow, vice president and executive winemaker, has been flying to Washington regularly to make harvesting decisions and oversee the wines. 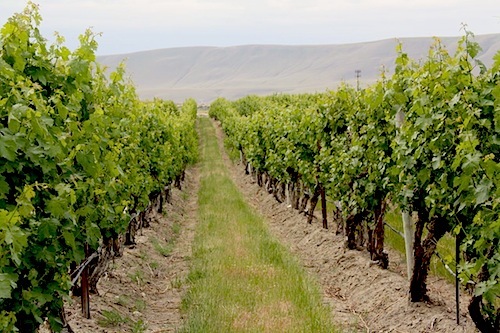 Reber said the company, which now is owned by private equity firm GI Partners, would like to purchase land on Red Mountain to plant an estate vineyard and perhaps build a tasting room or winemaking facility. Nearly 520 acres of land on Red Mountain – divided into 22 parcels – are being auctioned by the Kennewick Irrigation District on Nov. 23. 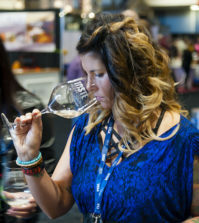 Reber said everyone the Duckhorn team has met in Washington has been extremely helpful, from winemakers to the Washington State Wine Commission. “The reception has been just really unbelievable, really incredible,” she said. 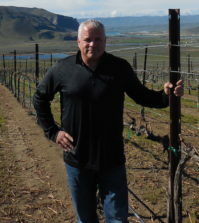 Charlie Hoppes, owner and winemaker at Fidelitas Wines on Red Mountain, is pleased to see a winery with the reputation of Duckhorn come to Red Mountain. Steve Warner, executive director of the Washington State Wine Commission, could not be more pleased. Heather Unwin, executive director of Red Mountain AVA Alliance, said Duckhorn brought its entire marketing team to Red Mountain to walk the vineyards and meet future neighbors. Duckhorn is the latest California winery in recent years to stake out a piece of Washington wine country. 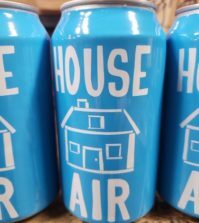 Earlier this year, Napa Valley’s Cakebread Cellars announced it is launching Mullan Road in Walla Walla. 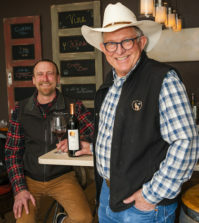 Last year, E&J Gallo in Modesto purchased Columbia Winery and Covey Run in Woodinville. Charlie Hoppes has absolutely nothing to do with the Duckhorn project in Washington. To include his picture within this article is ridiculous. We all realize your favortism towards anything Charlie is associated with, but including him within this article is dubious at best. Thanks for the comment. We quoted Charlie Hoppes because he had interacted with the folks from Duckhorn when they came by his winery. We included his photo because we quoted him. I’m not sure why this is so offensive to you. That is undoubtedly more ridiculous. Duckhorn did a trial run in 2012, and more than doubled their order in 2013 after seeing what they had from Ambassador Vineyards. Greater tonnage was on order had it been available. Look for big things from both partners in the near future..
Great information. Thanks for contributing, Steven.